T. Clayton Barrow, an American Board for Certification (ABC) certified orthotist, first became interested in prosthetics and orthotics after contacting founder Jeffrey M. Brandt about getting involved in a profession where he could make a difference in someone’s life. Clay spent his prior years working in software development, web development, and network systems infrastructure for several companies including Pricewaterhouse. He later joined his wife in starting and managing DBTS, Inc., a successful Information Technology staffing company in Washington D.C.
Later, Clay graduated from Northwestern University Feinberg School of Medicine’s Orthotic program, which is housed within the highly regarded Rehabilitation Institute of Chicago. Clay subsequently completed his orthotic residency with Ability Prosthetics and Orthotics. Since joining Ability, Clay has created a corporate technical infrastructure that standardizes the Ability experience for employees throughout the company. His prior management experience has provided valuable insight when making decisions for the company’s growth. 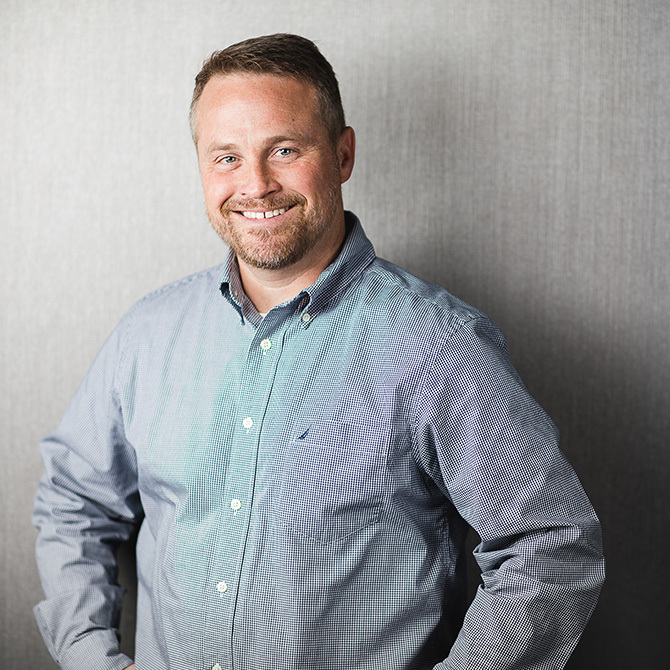 Clay currently operates as Ability’s chief information officer, managing the day-to-day data and informational operations of the company. His unique blend of clinical, technical, and financial experience in the O&P profession is a valuable asset to Ability as the company continues to grow and provide quality outcomes though measurement and data.